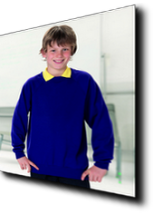 Our range of school clothing offers quality and value wih a choice of uniform items which can be either printed or embroidered. The shirt colours are both standard uniform colours and more fashionable ones suitable for school productions, trips and leavers shirts. Embroidery adds a touch of class and embroidered uniform from Hand Print will not disappoint, using the best techniques and an eye for detail you are assured of the best results. 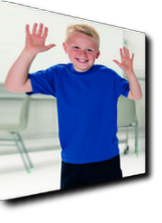 These 100% Cotton T-shirts are great for PE lessons, as well as uniform, school productions, leavers shirts and school trips. 16+ Colours to choose from. 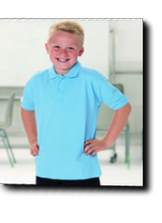 The hardwearing polo shirts are perfect for everyday school wear. They can be printed or embroidered with your school emblem to make your classes just a bit more classy. Below are two choices which offer a balance of value and quality, and a choice of up to 14 shirt colours. 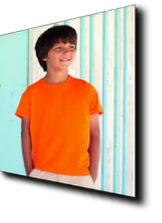 Ever popular, sweatshirts are warm, comfortable, smart and designed with children in mind. 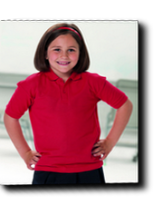 With your school crest embroidered on the front your children will look smart in or out of school. A choice of up to 12 sweatshirt colours are available for you to choose from.